As we continue to move forward with technology, our recorders get updated frequently. We’re now introducing a new, improved, 16 channel DVR . . . the PENDVR-EL16M4K-XI. 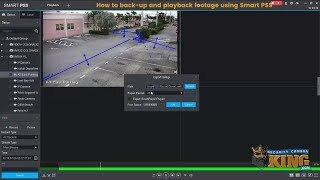 This DVR is a great upgrade or replacement for anyone looking to replace their existing 16 channel DVR with a new up to date recorder that will handle higher resolutions from the latest cameras. When using HD-CVI, this recorder will work with 8MP (4K), 6MP, 4MP, 2MP (1080P), and backwards compatible to include analog cameras over coax. 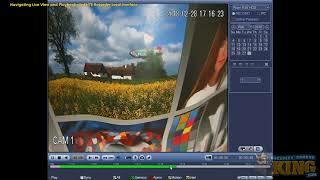 In HD-TVI and AHD technologies, resolution is limited to 5MP, 4MP, 3MP, 2MP (1080P). If that's not enough, you will have the ability to enable 16 additional IP camera channels making this a 32 channel IP system (NVR). For IP cameras, the resolution can be up to 8MP (4K) on all channels with a maximum incoming bandwidth of 128Mbps. This recorder can record the following resolutions, 4K @7fps, 6MP @10fps, 5MP @12fps, 4MP/3MP @15fps, 1080P/720P/960H/D1/ CIF @30fps on all channels. You’ll have 16 alarm inputs, 3 alarm relay outputs, 4 audio inputs, and 1 audio out that makes it simple for you to have 2-way communication with the proper hardware. For viewing and playback, you can connect remotely or directly connect to either the HDMI or VGA connections that are available. Also supported by this DVR are 2 SATA Hard Drive connections compatible with up to 10TB each. Recording compressions for this machine include H.265+, H.265, H.264+ and H.264 and when properly configured, the data compression ratio is doubled thereby reducing the bandwidth required without sacrificing quality. and when properly configured, the data compression ratio is doubled thereby reducing the bandwidth required without sacrificing quality. 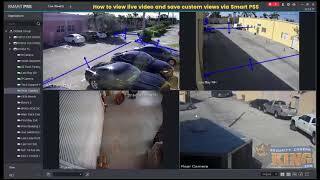 Video detection features of this DVR include Motion Detection, MD Zones: 396 (22 × 18), Video Loss, Tampering and Diagnosis. Display modes when no IP cameras are enabled are 1, 4, 8, and 16 channel grids. When IP channels are enabled, display can be set to 1, 4, 8, 9, 16 or 25 channel grids. Alarm notifications are available and include triggers for recording, PTZ, Tour, Video Push, email, FTP, Snapshot, buzzer and also screen tips. Playback features for this DVR include playback simultaneously 1 , 4, 9, or 16 channels. 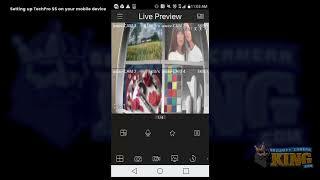 Playback searches can be done by time/date, alarm, Motion detection. 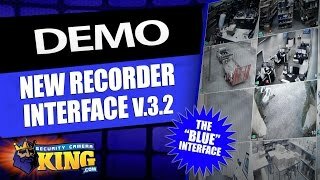 This recorder will amaze you with all the capabilities you will have at your fingertips to help prevent or analyze any criminal mischief that may be happening in your situation. This DVR comes with FREE PC, MAC, Android and Apple software, FREE US based tech support, and a 2 year warranty.